Unit Text:	"A" Bty. 93rd Bde. 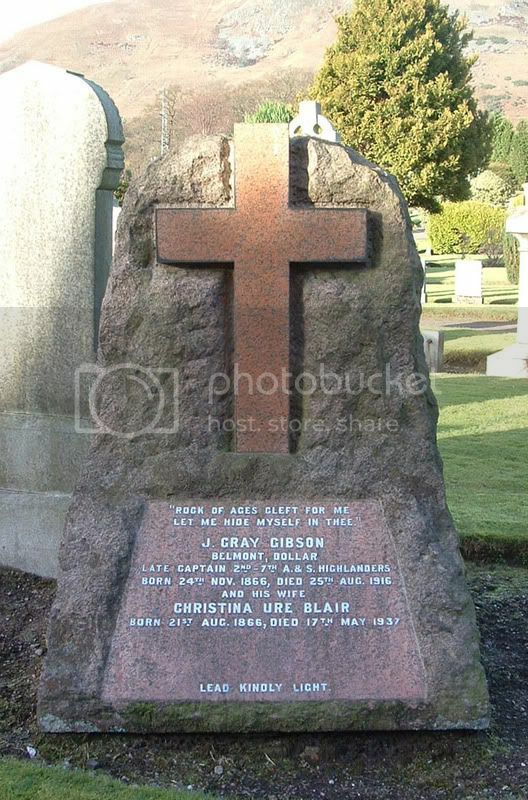 Additional information:	Son of Peter and Jane Snadden (nee Morrison), of 4, Hill St., Tillicoultry Clackmannanshire. Grave/Memorial Reference:	Panel 4 to 6 and 162. 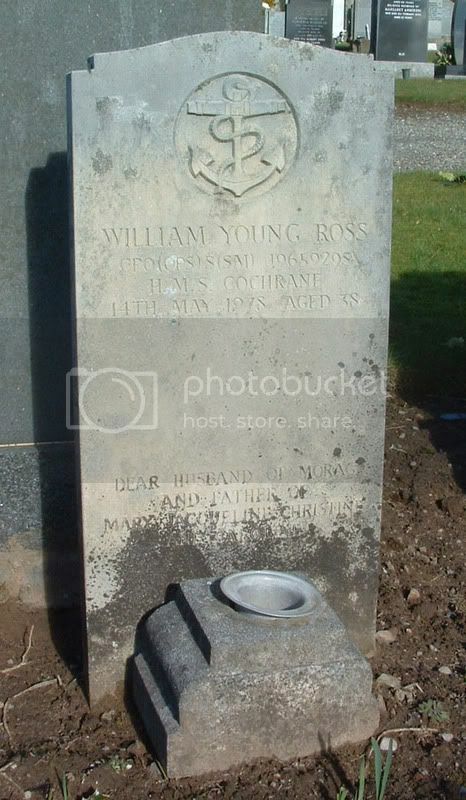 Additional information:	Son of Harry and Jessie Stewart; husband of Jessie Stewart, of 73, High St., Tillicoultry, Clackmannanshire. Born at Alloa, Clackmannanshire. Grave/Memorial Reference:	XVIII. M. 2. Grave/Memorial Reference:	8. B. 19. 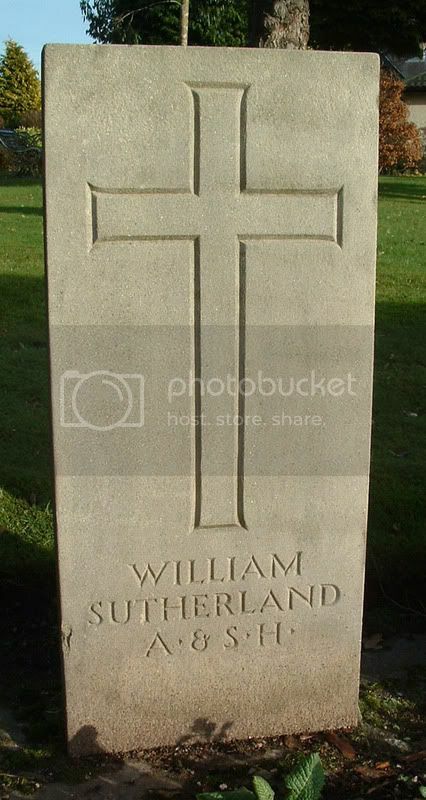 Additional information:	Son of William Sutherland, and of Margaret Sutherland, of Tillicoultry, Clackmannanshire. Born at Airdrie, Lanarkshire. 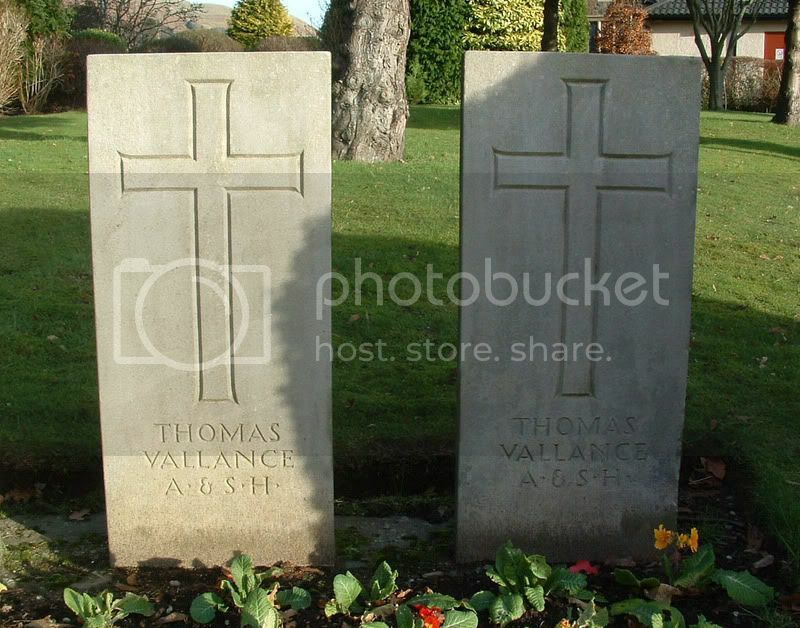 Additional information:	Son of James Vallance and of Jean Vallance (nee Turnbull); husband of Mary Leggat Crosbie Vallance, of Wandsworth Common, London. Born at Clackmannanshire. Grave/Memorial Reference:	2A. G. 11. Last two of the 32 stones adjacent to the War Memorial. Relationship (if any) between the two men is unknown. Additional information:	Awarded Chevalier Legion D'Honneur, Croix de Guerre with Palm (France). 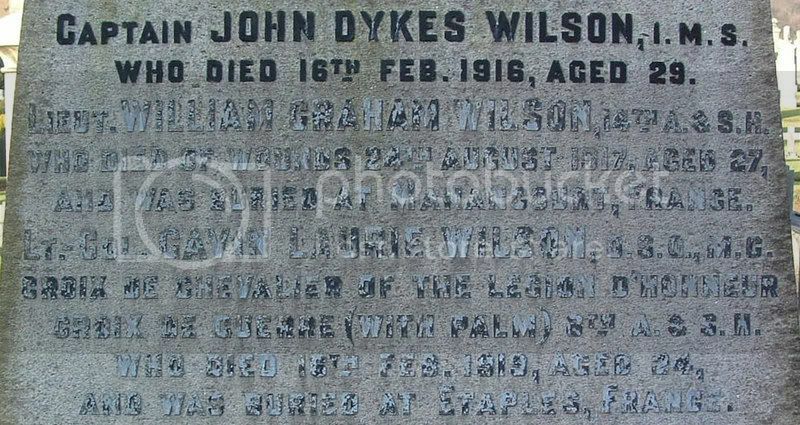 Son of John and Margaret Thomson Wilson, of Tillicoultry, Clackmannanshire; husband of Mary A. Wilson, of 78, Copland Rd., Govan, Glasgow. Grave/Memorial Reference:	XLV. B. 10. 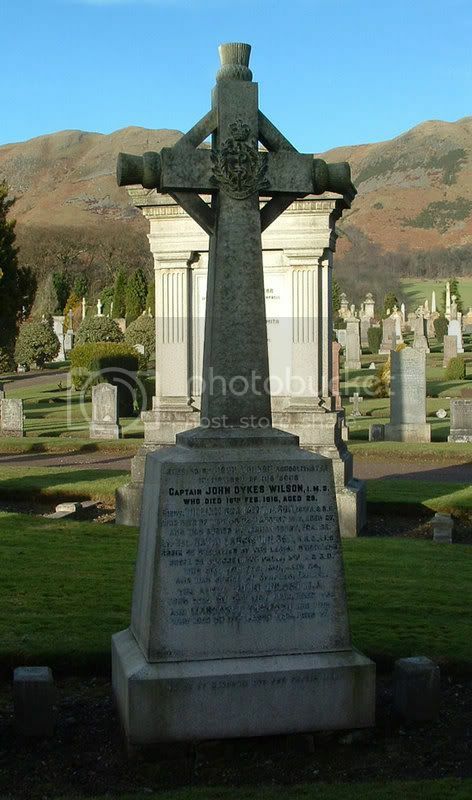 Additional information:	Son of John and Margaret Wilson, of North Murie, Errol, Perthshire. Native of Tillicoultry, Clackmannanshire. 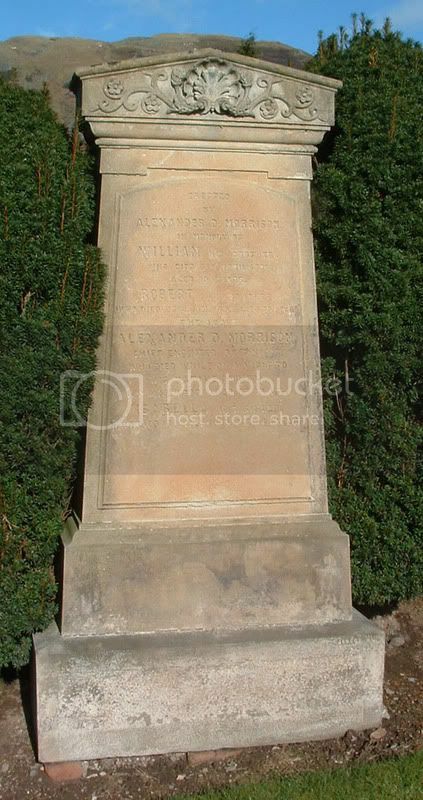 Grave/Memorial Reference:	I. E. 8. Note that brothers John and Gavin died on the same day, 3 years apart. The family possibly lived at Errol at the time of John's death (1916) as this is the address given in 1917 when William died, but by 1919, the year of Gavin's death, the address given was Tillicoultry. 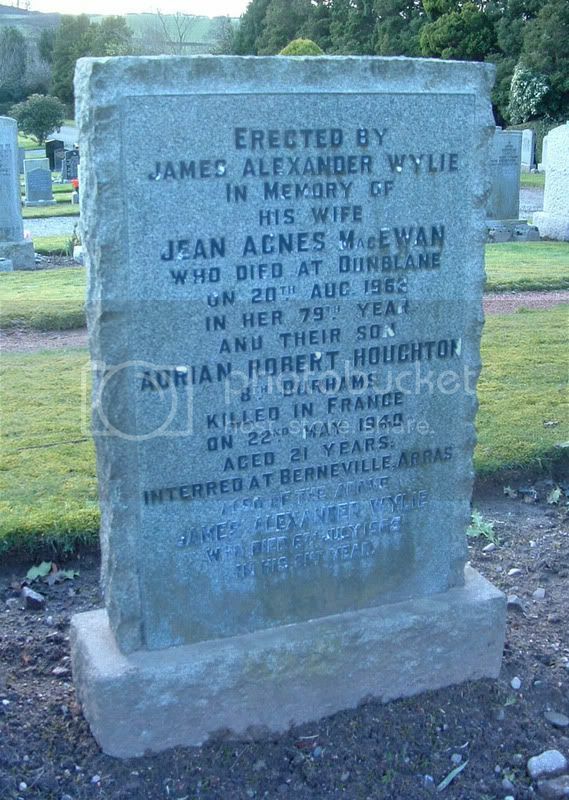 Additional information:	Son of James Alexander Wylie and Jean Agnes Wylie (nee MacEwan), of Sidcup, Kent. ...Captain Vernon, Lieutenant Paton, Corporal Cooke, Corporal Pickard, and Sergeant Ross, broke desperately forward, crossed the ditch, and strove to reach the loop-holes, into which the officers emptied their revolvers. At the sight of these figures scrambling up the face of the fort, all in the rear felt certain that the work had been carried. Cooke was now on the iron roof with the bullets swishing round him at the shortest point-blank range, yet, strange to say, though his tunic was riddled, he himself came off without a scratch. 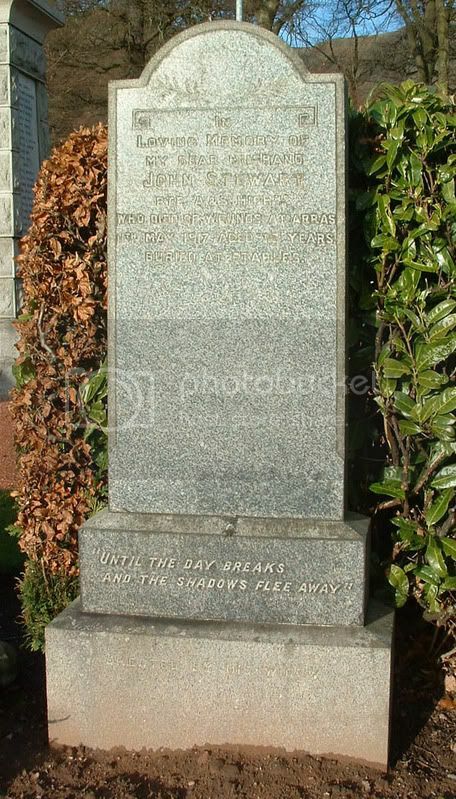 Paton was shot deadwith Sergeant-Major Paget, both fighting to the last; Vernon, an officer of faultless bravery, fell dead with his third glorious wound; there was no one left to lead and none to follow. 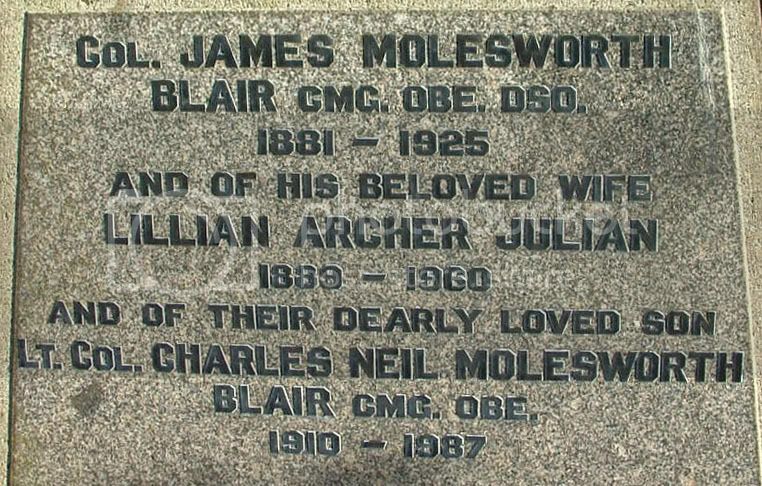 * Colonel James Molesworth Blair is mentioned twice on the same stone. 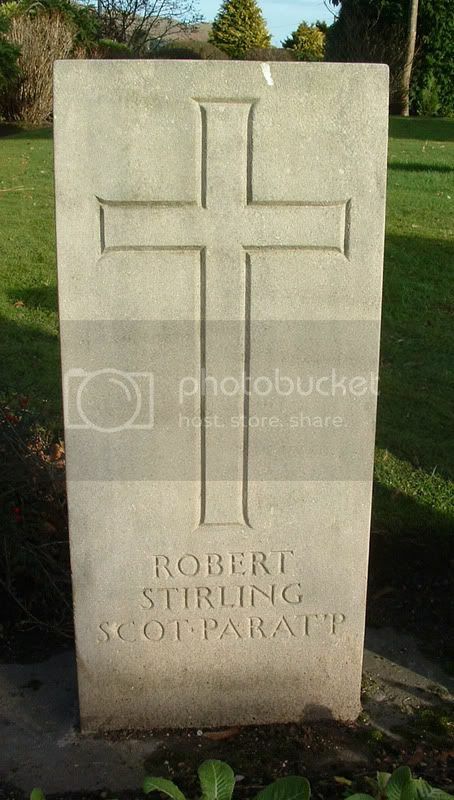 I am unsure whether this man had a military connection as I can't think what B.?.S.N. might stand for? I have been advised that the letters would be B.I.S.N., British India Steam Navigation (Company).